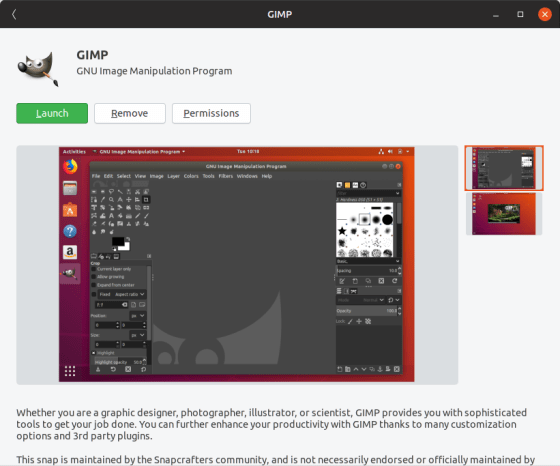 Snap is a Linux application package management system which allow developers to easily publish self contained software packages (snaps) that work across many distributions and versions of Linux. Snaps have security at their heart, and are designed to ensure all applications support the principle of least privilege / authority. That is, each package only has access to the common groups of resources that it requires to perform its intended function. A snap interface is provided by a slot declared by a given snap package (the core snap itself provides many slots), whilst other snaps consume a given interface by declaring themselves as a plug for that interface. Each snap declares the interfaces it requires (ie. by listing these as plugs) and are then connected to the corresponding slot by the snapd daemon either automatically, or manually, depending on the interface. Some interfaces are connected automatically to all snaps that declare a plug to them, as they present a low risk or the interface is generally useful to most snaps (such as the desktop and network interfaces). Other interfaces (such as the removable-media or cups-control interfaces) must either be connected manually by the user, are auto-connected via a specially granted exception from the Snap Store or are auto-connected by a custom device-specific gadget snap. Snap Store reviewers typically only grant exceptions when it is deemed the utility of the application will be greatly diminished if the requested interfaces are not connected automatically. The interfaces used by a snap can be shown in two ways, either graphically through the Software application or via the command-line. For each installed snap, a Permissions button is shown in Software that lists the interfaces the snap declares plugs to, and allows the user to manually connect or disconnect each interface as desired.